For Flexo Wash, ‘clean’ is ‘clean’, no matter which method is used, and with the anilox being acknowledged as the heart of the flexo print process, the new choice of method to ensure absolute cleanliness for maximum performance is a boost to productivity with higher quality, and reduced labour and material costs. “The FW 2000 and FW 3000 Laser Anilox Cleaners utilise the latest in laser technology. 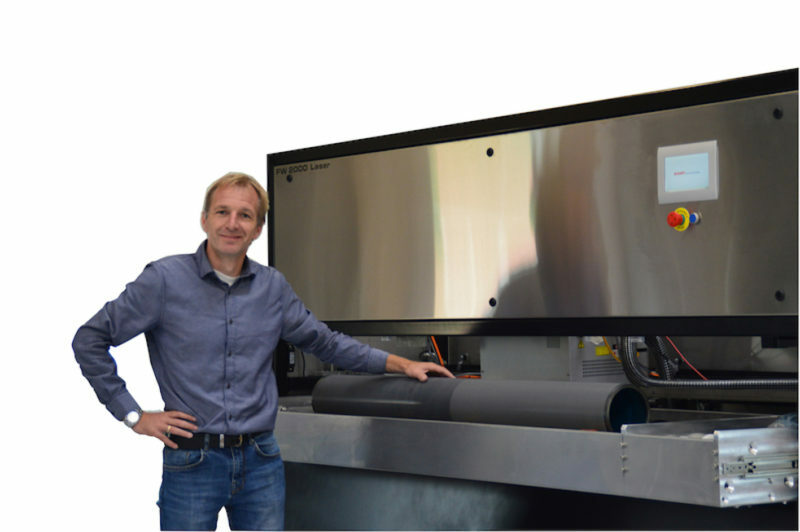 The FW 2000 will clean an anilox roll or sleeve with a maximum cleaning length of 1700mm,” explained Anders Kongstad, Technical Director for Flexo Wash in Denmark. “The FW 2000 can also be configured to clean multiple narrow web anilox rolls or sleeves in a single cycle,” he added.